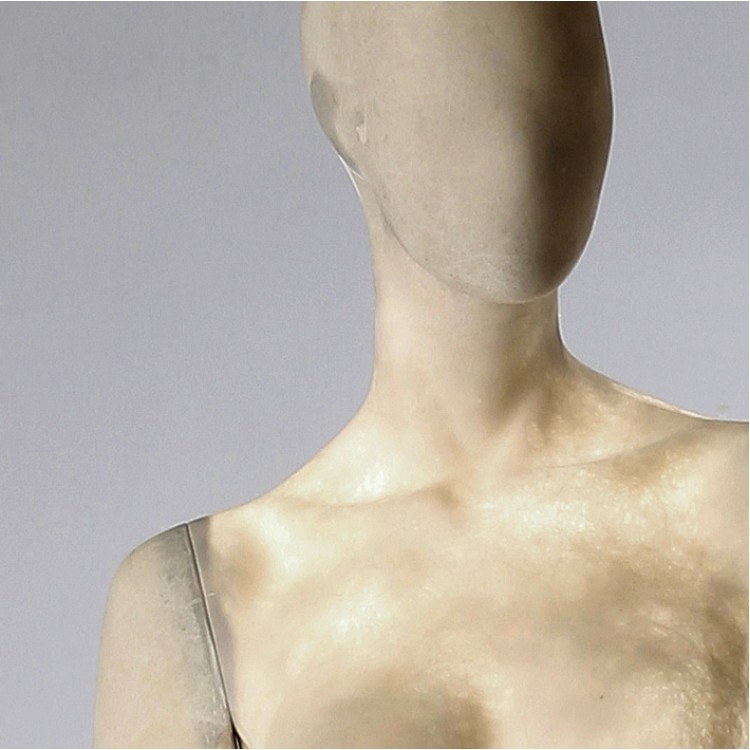 Stylised female mannequin from HINDSGAUL® with abstract head in upright pose. Rough, light-greyish surface with an unpainted structure resembling concrete. Treated to prevent finger marks etc. 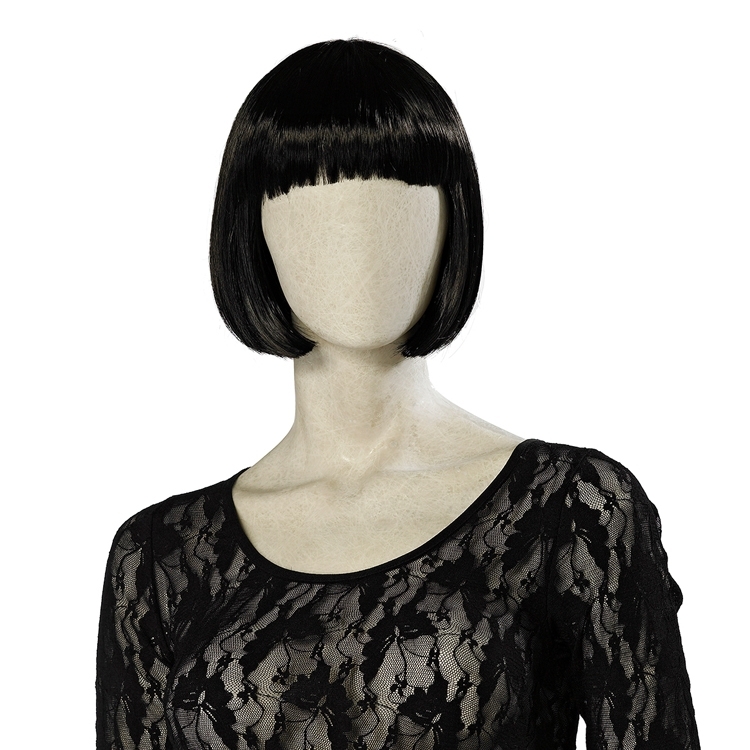 You can dress your ROCCIA up or down, with or without wig. The versatile ROCCIA goes equally well dressed in evening wear, street wear and undergarments and will add a modern, cool expression to any display. To avoid visible connections when displaying lingerie, ROCCIA is designed with the unique T-cut, for easy assembly and separation of the legs. Hindsgaul's ROCCIA series is a cool, stylized series of male and female mannequins, which enables you to create greater consistency and storytelling in your presentations.